Craig Lindell and Arash Maghsoodi of The Prehab Guys jump on the podcast to talk about physical therapy from the perspective of a student. Craig and Arash are former athletes currently studying physical therapy at the University of Southern California. 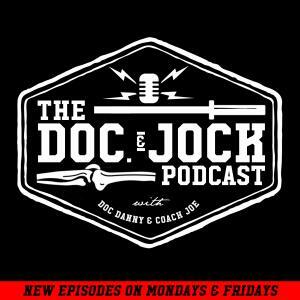 In this podcast we learn what inspired them to pursue a Doctorate in Physical Therapy, what their definition of Prehab is, and life as PT students. Follow Craig, Arash and check out their content and full exercise library at social handle and link below.